Each Met Rx protein plus bar is 3 oz (85g). The new Protein Plus food bar is the best tasting, most convenient way to get that extra protein. Met Rx Protein Plus bars delivers almost twice the protein per gram compared to most other bars, and it's easily digested and absorbed for faster, more effective lean muscle growth and body fat loss. Each metrx bar contains 32 grams of high quality Metamyosyn enhanced protein - the exclusive protein formulation that is a fundamental ingredient in other Met Rx products. Incorporating the Protein Plus bar into your diet is the perfect way to increase your protein intake without loading up on unwanted carbohydrates to help build muscle instead of adding fat. This is the only protein bar you'll ever want to eat. The only thing that comes close are the Clif bars and even the best one doesn't taste as good as Met-RX bars. Other bars people will swear that they taste like a candy bar and they eat it every day because it's the best thing they ever tasted. Most of that is bullcrap and everyone knows it. These taste like candy bars, that's it. As most people seem to say about them my favorite is the Chocolate Roasted Peanut but every flavor has it's own charm. The fudge ones go extremely well with milk. I have been using them for my after workout meal for months now and I have not been disappointed. I use these and a protein powder in junction and I'm really noticing the difference as I get closer to reaching my correct grams of protein per day amount. I hope they continue to make these bars for a long time. 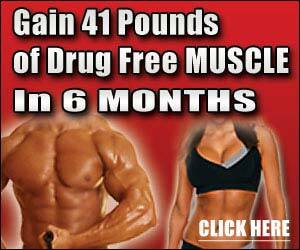 They completely solve the main problem with protein supplements, the taste. Who wants to torture themselves when options like Met-RX are out there? I have tried many protein bars and this has become one of my favorite. Really fills me up after work or in the morning. Taste great and doesnt seem chalky. Peanut butter carmel crunch is my favorite. I really love the Protein Plus bars, They really taste great, believe me I have tried them all. My favorite is Chocolate Roasted Peanut w/ caramel. I don't go a day with out them. Reviewer: Lee22raider from Maunie, Illinois. Im not just reviewing this bar but have a problem evry time I take any whey protein in any form I swell either my feet or my lips. Im at a loss because soy protein does not make me swell. Im really looking for answers please help!